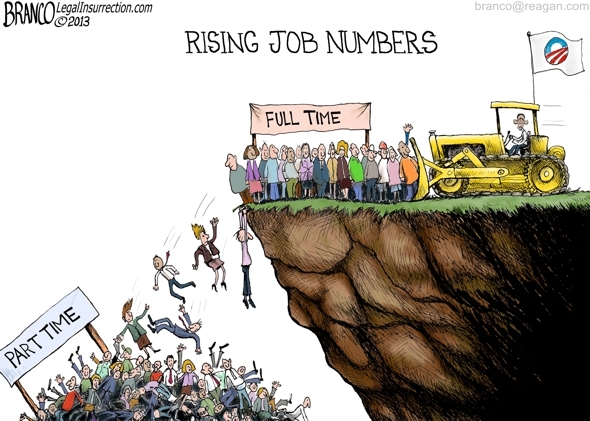 Tags: editorial cartoon, AF "Tony" Branco, job numbers, Obama Administration, May 2013 To share or post to your site, click on "Post Link". Please mention / link to the ARRA News Service. Thanks! Don't forget that we are going to offer more part times jobs all across the nation as companies slash the hours of existing workers to stay under the new part time health care requirements. The democrats will show this as an improvement.